Baca clients were escorted to Italy this week on a fact-finding mission, in order to select luxury fittings for their future residence. 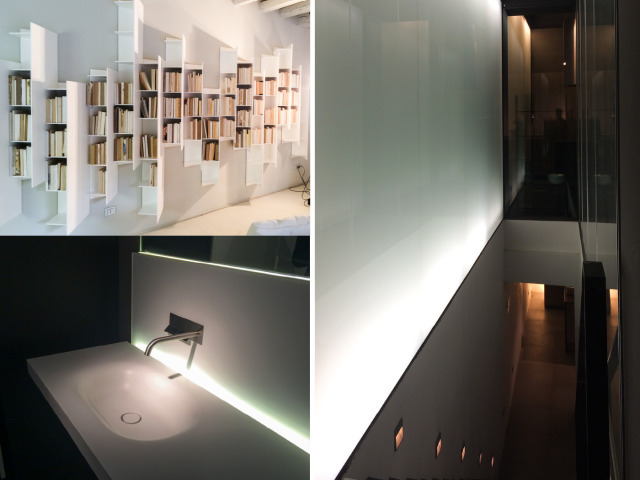 The team visited Boffi showrooms and many others to provide a first-hand feel of the materials and designs available to compliment and complete their bespoke build. Advised by the Baca team at every stage, the clients were allowed to gain first-hand experience of the high-quality, largely Italian, materials. Marbles, ceramics, woods and metals were sampled, along with the latest in innovative computer aided finishes. The trip helped to understand the potential options available to them in order to aid their making informed decisions about every aspect of the finish of their house, and thus realise their true vision. Finding themselves next door to the home of another ambassador of design and beauty, the legendary Ferrari, the party attended an exhibition of Formula 1 Championship Single-Seaters. Iconic Mercedes, Lotus, Ferrari, and other machines from Formula 1 Championships between 1950 and1994, that were driven by the likes of Fangio, Jim Clark and Ayrton Senna, were the perfect compliment to a day exploring luxury, prestige and design excellence.